Obituary for Mrs. Helen G. (Schneider) White | Hinchliff-Pearson-West, Inc.
She was born November 19, 1921, in Sigourney, Iowa, the daughter of Frederich and Minnie (Myers) Schneider (both now deceased). She married Wayne “Whitey” White December 21, 1947, at “The Little Brown Church in the Vale” in Nashua, Iowa. He passed away January 21, 1995. Surviving are two sons, Jeff (and Miho) of Texas and Nick (and Linda) of Galesburg and their step grandchild, Rochelle (and Sebastian) Wertz and their three step great grandchildren; granddaughter, Jennifer (and Matt) Rice and great grandchildren, James and Alliaya of Galesburg. She was preceded in death by a son, Marc; a grandson, Dylan; and stepsister, June Nesseler of Rock Island. Helen graduated from Rock Island High School in 1940 and lived in Galesburg since 1954. While in Rock Island, she owned a restaurant, the “Centennial Grille,” and also worked as a secretary for Witter & Walker Law Firm. In Galesburg, she worked as secretary for Woolsey, Stickney & Lucas (Attorneys), Adams Press Metals, Rowe Manufacturing, and served as a Bill of Materials Technician for Admiral/Maytag, from where she retired in 1986. Since then, she did home health care for several years and also worked part time at District #205. 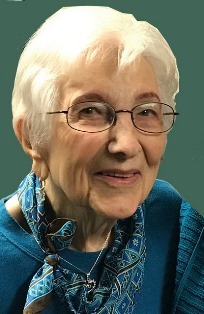 She was a member of: Central Congregational Church, The Women of the Moose (serving in all elected capacities), D.I.G.I.T (Disabled Individuals Getting in Touch), serving as treasurer, American Legion Auxiliary, and the “Juliets” card club. She loved playing cards and was an avid Chicago Cubs and Bears fan. She felt blessed to have been able to travel throughout the U.S.A. and extensively to Germany, France, Switzerland, Italy, Yugoslavia, Canada, Mexico as well as to Japan to attend her son’s wedding in 2005. Cremation will be accorded. Visitation will be 1 to 2 p.m. Friday, April 6, 2018 at Hinchliff-Pearson-West Funeral Directors and Cremation Services Galesburg Chapel. Memorial service will follow at 2 p.m. with Rev. Jim Ecklund officiating. Burial will be in East Linwood Cemetery. Memorials may be made to the Central Congregational Church, and/or to the Knox County Humane Society. Online condolences may be made at www.h-p-w.com.